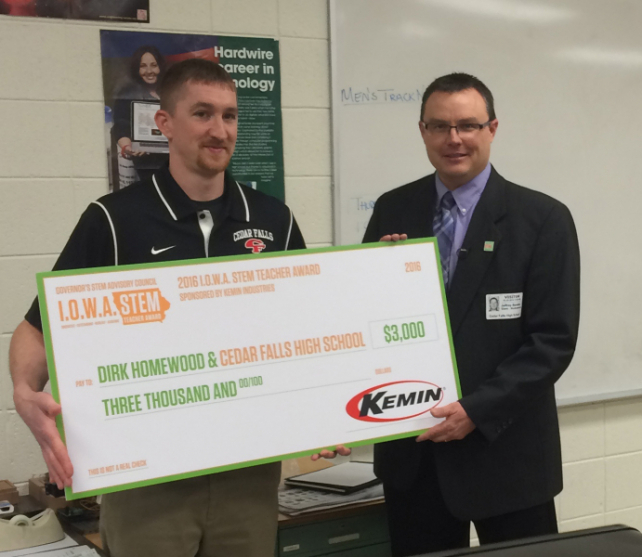 The I.O.W.A STEM Teacher Award, sponsored by Kemin Industries, is dedicated to honoring one teacher from each of the six STEM regions for their contribution and dedication to STEM in Iowa. 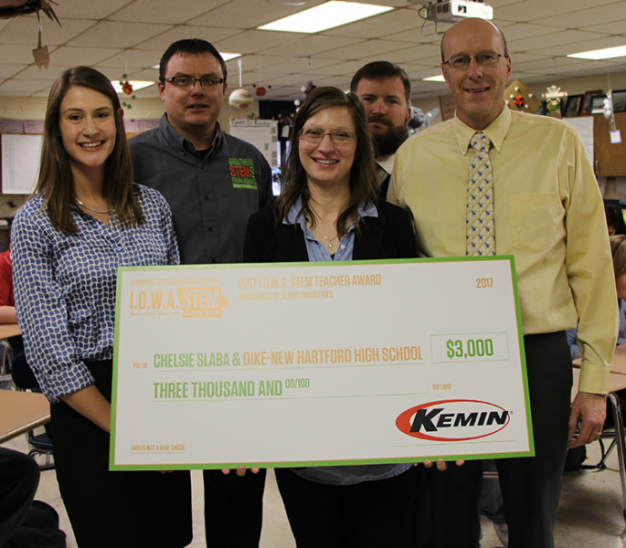 Each winner will receive a $1,500 award with an additional $1,500 to be used in their classroom. 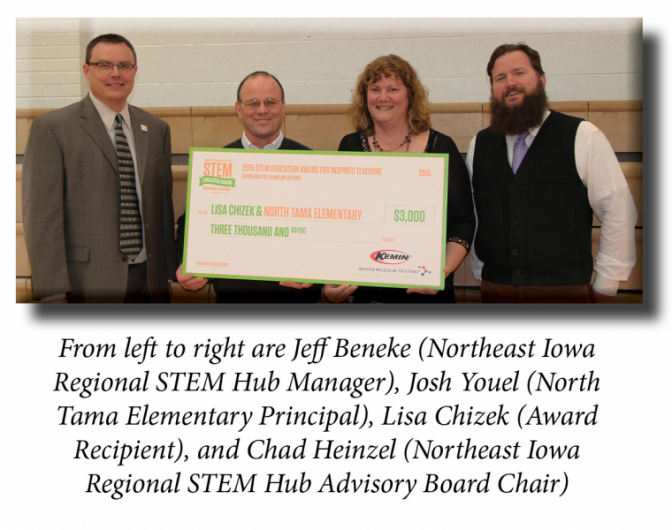 Nominations are no longer being accepted. To watch a video about the I.O.W.A. 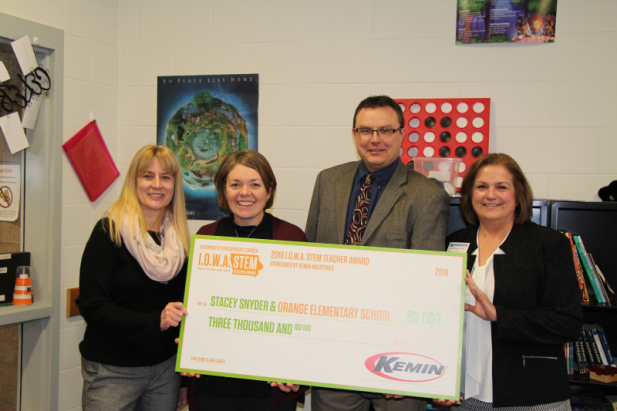 STEM Teacher Award, click here.